Wes will take the hot seat on this show where opinions abound. Kirk Humphreys presents his conservative Republican view while Mike Turpin counters with his liberal leaning ideas and Kevin Ogle moderates the show from his neutral position. 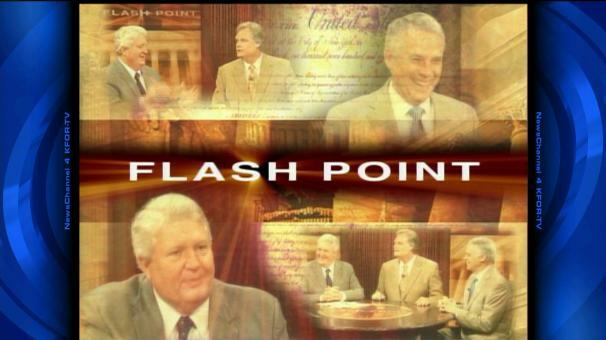 Watch Flash Point Sunday, January 23rd at 9:30 a.m. on Channel 4. This entry was posted in Appearances, The News, Video by weslanethebook. Bookmark the permalink.